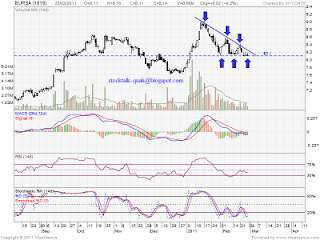 It have been attempt 3X at RM8.10 level & now forming decending triangle pattern. 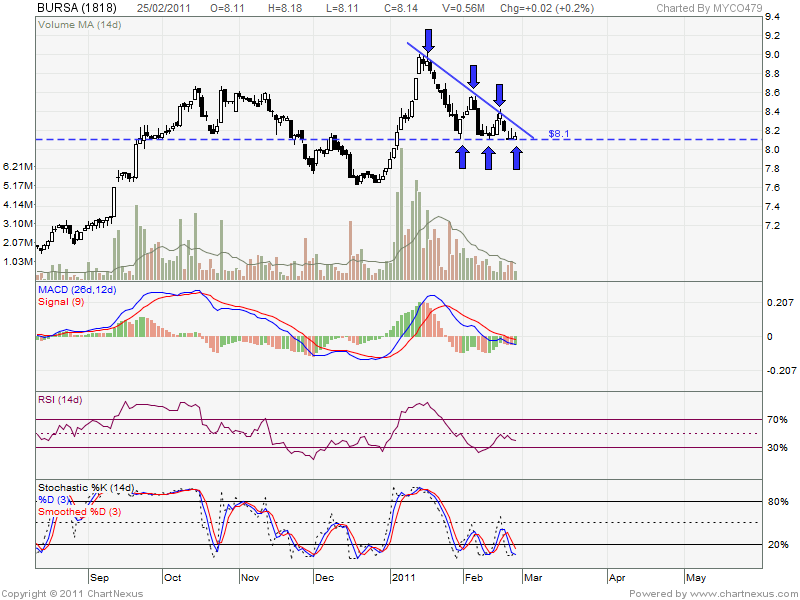 So, RM8.10 is current strong support level. 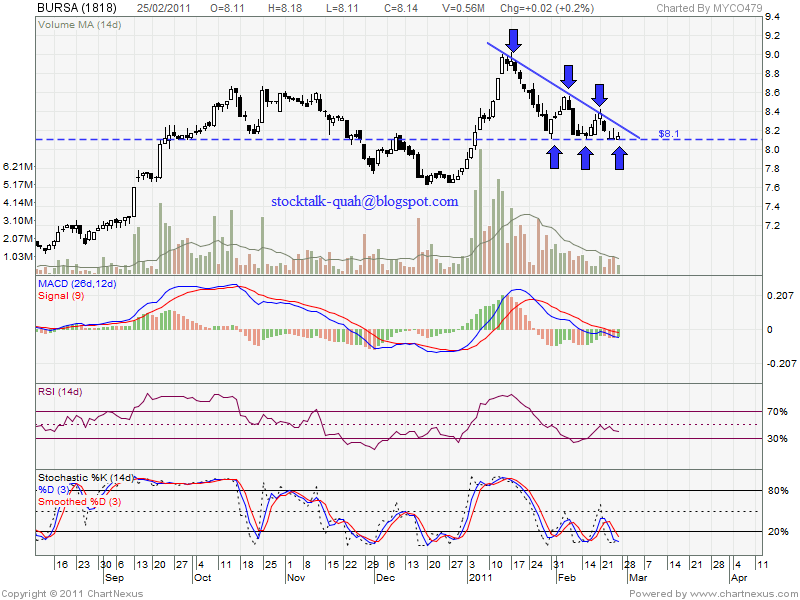 However, if able break up the triangle upper line with huge volume, it might retest RM8.64 & RM8.98 resistant.